I've been reading 2 Kings lately, a book that never ceases to amaze me! Every time I read it I shake my head how chapter after chapter follows the same pattern of the Kings of Israel and Judah not following God. And where the King went, the people followed. They had so much God wanted to give them and do through them, but they forfeited it due to their continued lack of obedience. As I was reading the repeating pattern, I came across words in 2 Kings 17:15 that made me pause. The chapter starts in much the same fashion as the previous ones and goes on to share how the Israelites were stiff-necked and unwilling to listen or follow the Lord. Then it says, "They imitated the nations around them..." and those few words made me stop. Actually, it was one word: imitate. What got them in trouble was that instead of being the unique nation God created them to be, they tried to be someone else. Oh friends! How we do the same! Constantly faced with social media posts and air-brushed advertisements (to just name a few items) we strive to be like what we see rather than who God created us to be. And in doing so, not only do we miss out, but those around us do as well. 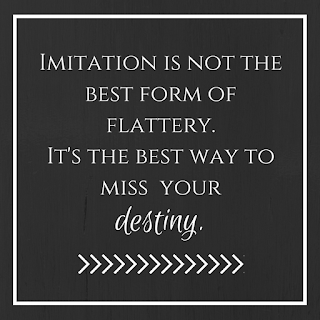 Imitation is not the best form of flattery, it's the best way to miss your destiny. You were created for a specific purpose and plan (check out Ephesians 2:10 or Jeremiah 29:11) and when you choose to imitate someone else rather than walking in your unique purpose, there's a hole smack dab where you should have been. That's not to say that God cannot fill that hole with someone else. But oh! Why would you want to exchange the amazing plans he has for you to mimic someone else's? What God has for you is exceedingly more than you can ever come up with on your own (that's in Ephesians also, chapter 3, verse 20.) so don't settle. 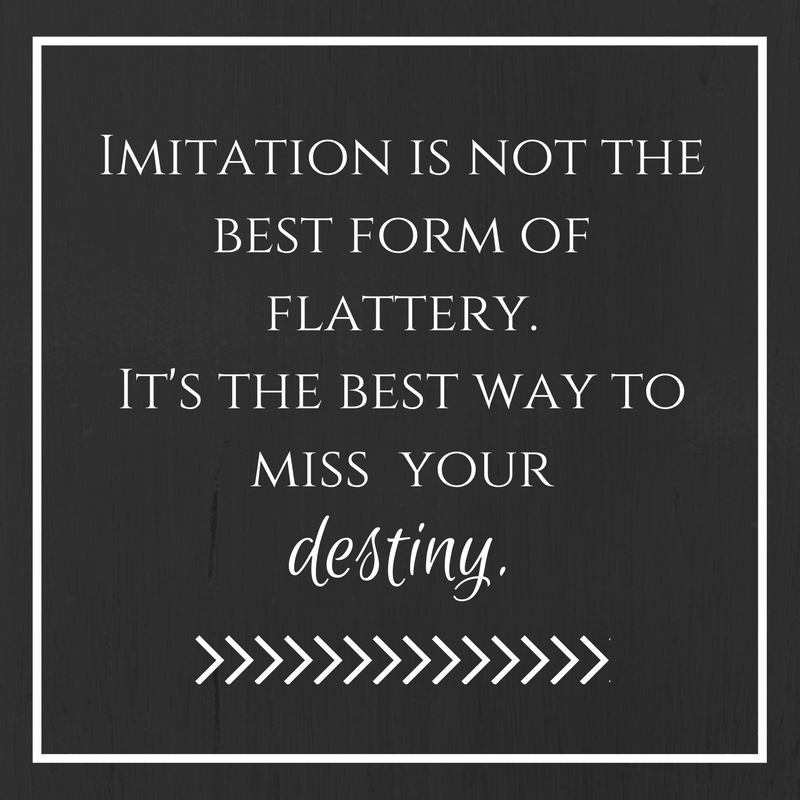 Don't imitate. Seek out God and all he has for you. And start today. Great truths here. You've got me thinking. Thank you.